With 20th Century Fox's Fantastic Four hitting theaters next month, there has been plenty of speculation lately that the reboot could lead to a crossover with the X-Men franchise, especially since both properties are produced by Simon Kinberg. 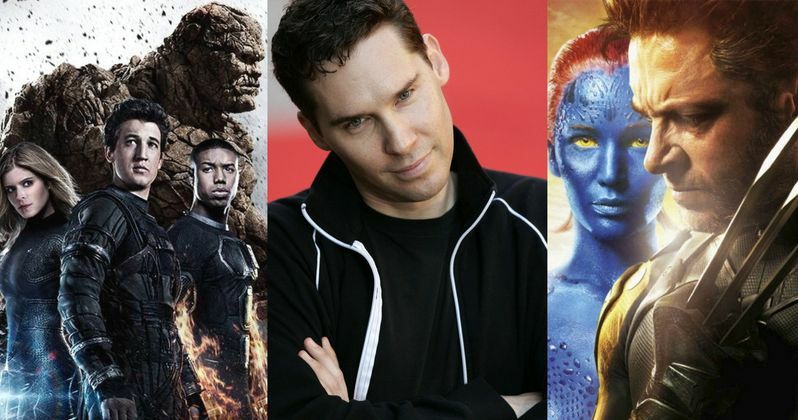 Today, an unconfirmed rumor surfaced that claims the studio wants Bryan Singer to direct The Fantastic Four 2, which will lead into an X-Men and Fantastic Four crossover movie. This crossover is the same project that we reported on last month, with 20th Century Fox considering a 2018 release. There is no word yet on whether the studio has hired a screenwriter to tackle the story for this X-Men and Fantastic Four crossover, but if Bryan Singer does direct this superhero movie after next year's X-Men: Apocalypse, it would seem likely that some of the X-Men mutants could at least have a cameo in The Fantastic Four 2. The studio reportedly thinks that the combination of director Bryan Singer and producer Simon Kinberg, who understand both franchises, could be their version of Marvel's Kevin Feige, using the filmmakers to create a cinematic universe for both of the franchises. At this time, Bryan Singer isn't attached to direct any other projects after X-Men: Apocalypse, and we're not even sure where the franchise is heading after that, except for the 2016 spinoffs Deadpool and Gambit. Then again, it's possible that the studio may want the director to make both The Fantastic Four 2, set for release on June 9, 2017, and the crossover for 2018, which could be a tall order to fill, and may even require the director to shoot them both back to back. Then again, none of this has been confirmed quite yet, so stay tuned for more on this potential superhero crossover.